Preheat oven to 400°F. Slice the chicken breasts in half lengthwise, then half again horizontally to create 8 thin, triangle-shaped pieces of chicken. 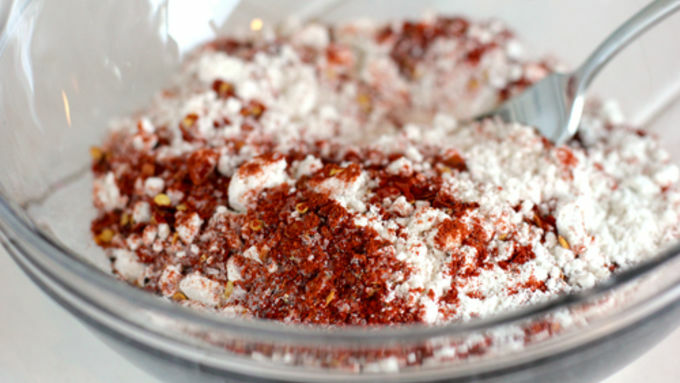 In a small bowl, stir together the flour and spices. In a second small bowl, whisk together the egg and milk. Heat oil in a large skillet on top of a medium-hot stove. Open the Pillsbury™ Grands!™ and place them on a baking sheet. Bake in preheated oven for 12-14 minutes, or until golden brown. While your biscuits are baking, dip the chicken pieces into the egg and milk mixture, then into the spiced flour mixture. Fry in the hot oil. Whisk together the melted butter and honey. 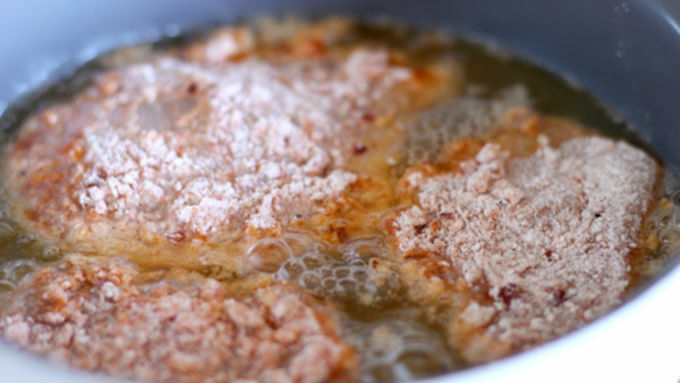 Remove the biscuits from the oven and use a basting brush to spread melted honey butter on top of the biscuits. Slice each biscuit in half, then place a piece of cooked chicken in the center. Serve with orange juice and enjoy! Breakfast for breakfast never tastes nearly as good as breakfast for dinner! Why not make breakfast for dinner tonight?! These Spicy Southern Chicken Biscuits are perfect for weeknight, work-night eats. No take out. No delivery. No drive-thru. Quick and yummy, right at home between your day job and evening fun. 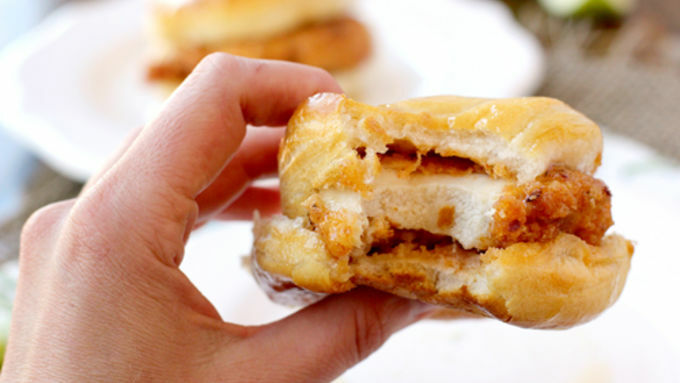 This delicious Spicy Southern Chicken Biscuits recipe is absolutely simple to make, totally flavorful, and coated with honey butter. Need I say more? 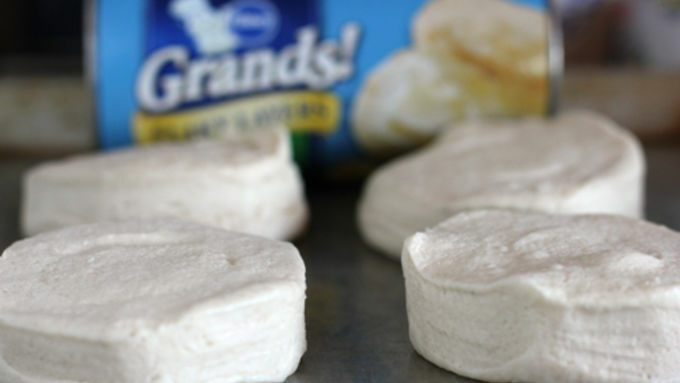 To make this simply perfect recipe, you're gonna need a tube of Pillsbury™ Grands!™ Pop 'em in the oven. Fried chicken for breakfast for dinner? Believe it. I may be butter-biased, but in my humble opinion, after you pull your golden-delicious biscuits out of the oven you should definitely slather them with melted honey butter. I mean, lots and lots of honey butter. And remember to lick your fingers. Don't let any of it go to waste. 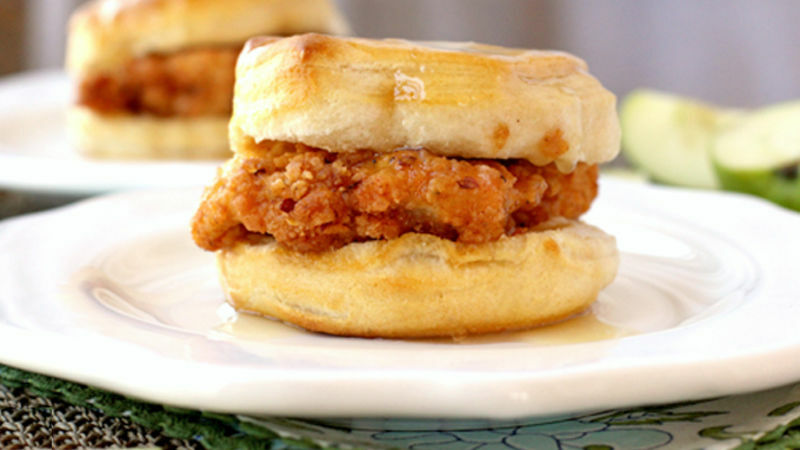 Put your spicy fried chicken between two halves of your honeyed biscuits. Stand back and admire. Whoo-eee! Isn't it purty?! Get ready, get set…bite! Enjoy! Indulge! We've got a whole selection of Fried Chicken Recipes for you -- and for even more info, check out this article on How to Fry Chicken.